I’m sure you have all heard of the book I Know an Old Lady Who Swallowed a Fly. 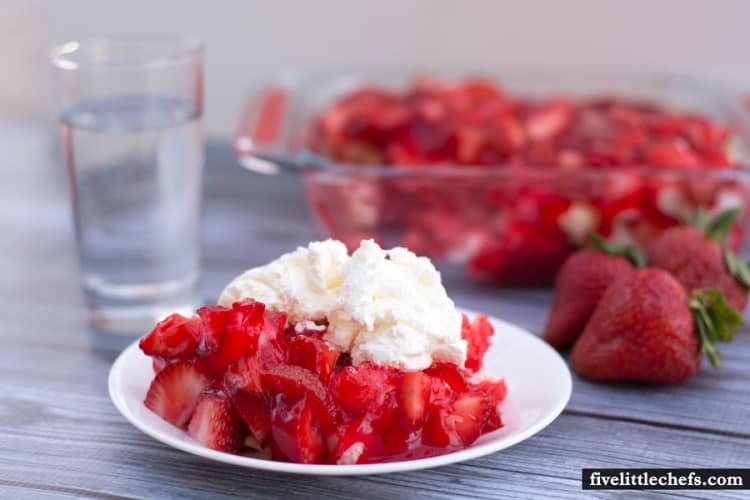 But, have you heard of the book I Know an Old Lady Who Swallowed a Pie? When we went to the library to find a couple other books, we ran across this book. I had not heard of this book before, so I was excited to take this home to read it with my son. 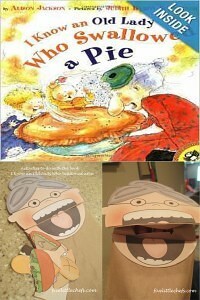 I found this great printable to go along with the book I Know an Old Lady Who Swallowed a Pie. 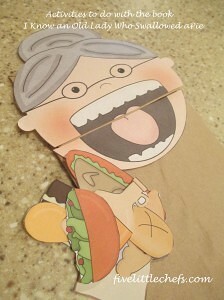 I wanted to do something a little bit different so we made an Old Lady puppet out of a paper bag. I enlarged the picture of the Old Lady so it would fit onto our paper bag a little better. 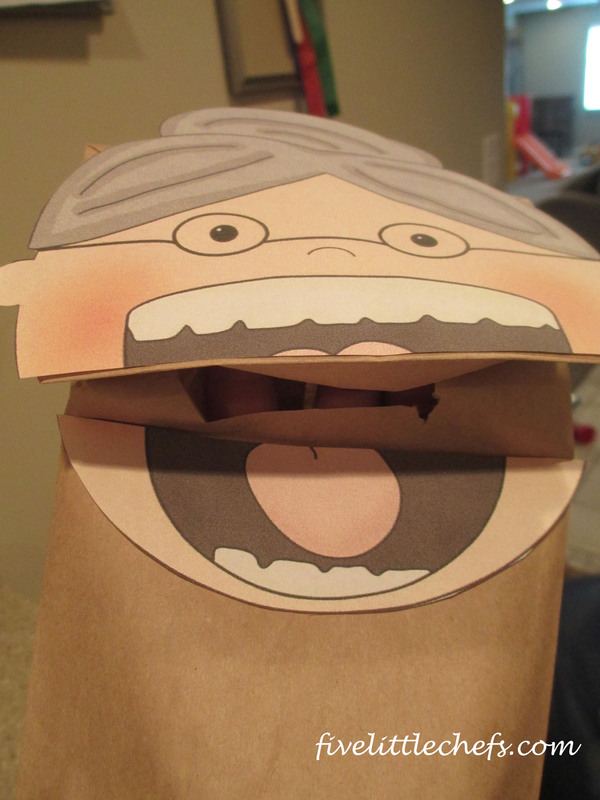 Next I took scissors to cut the mouth of the lady so it would move when opening and closing the puppet/paper bag. Once that was cut and glued on I cut an opening in the fold. This was so we could simulate the Old Lady “eating” the different food items. Just make sure you have cut it large enough to get each item through. How do you include all your kids with this activity? Why not have your older children be in charge of the puppet, and your younger children can feed the Old Lady. 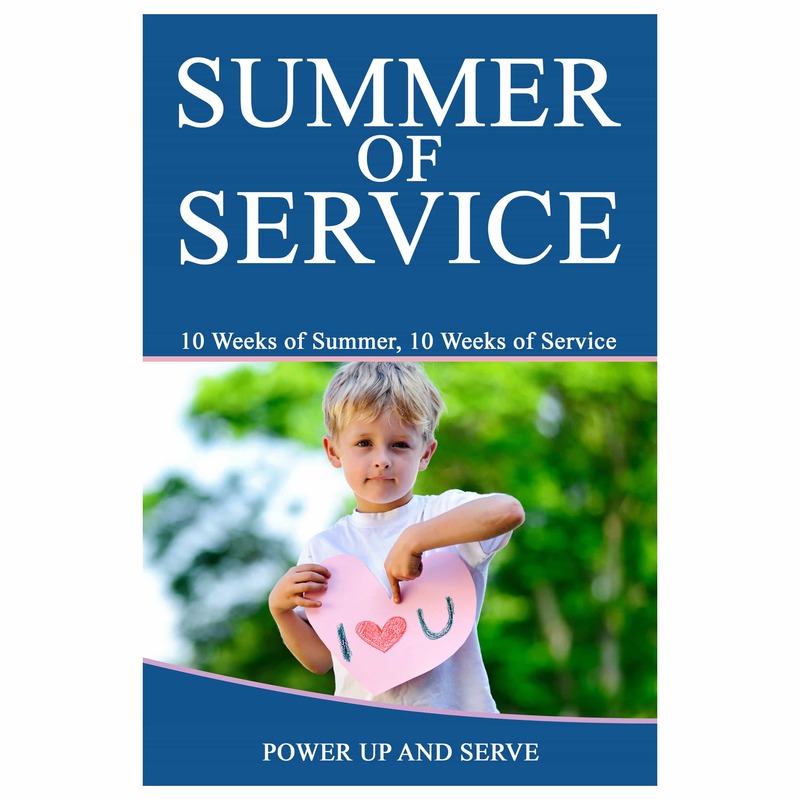 If you have more than one older child, he/she can help by reading the book. I like to get all my kids involved when we are reading a book, doing an activity, or just having fun. 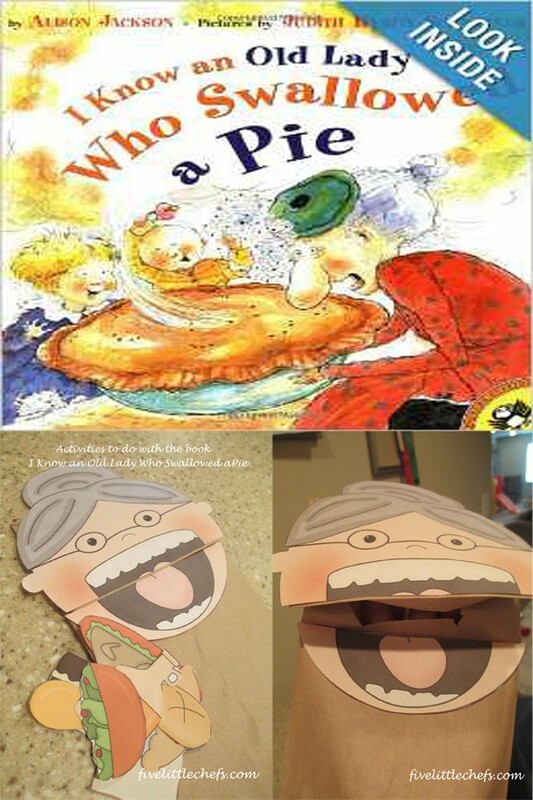 What are other activities you can do with the children to go along with the book, I Know an Old Lady Who Swallowed a Pie? 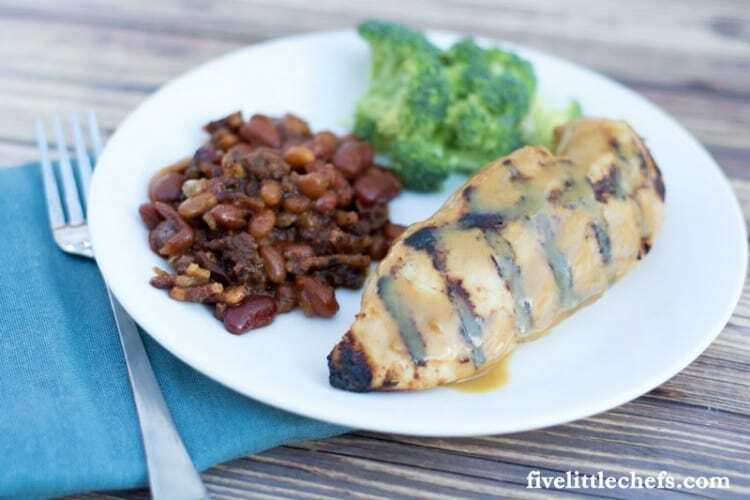 You can work on sequencing. Read the book with your children, once or twice through. 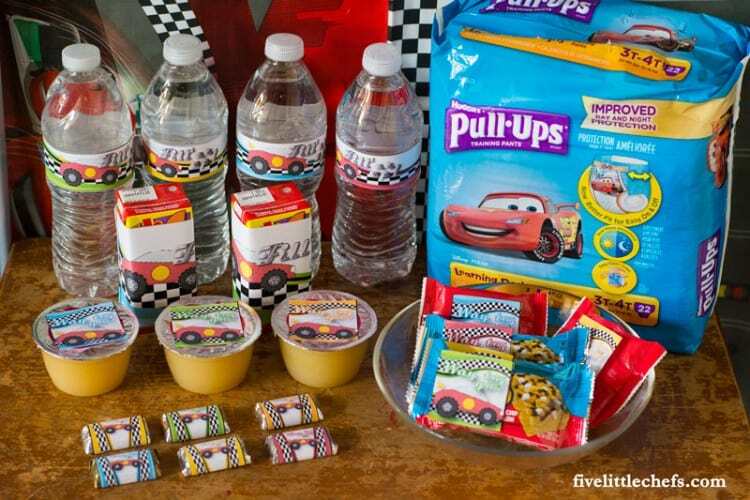 Then have the children tell you the story, or have them write the order in which the Old Lady ate the different food items. 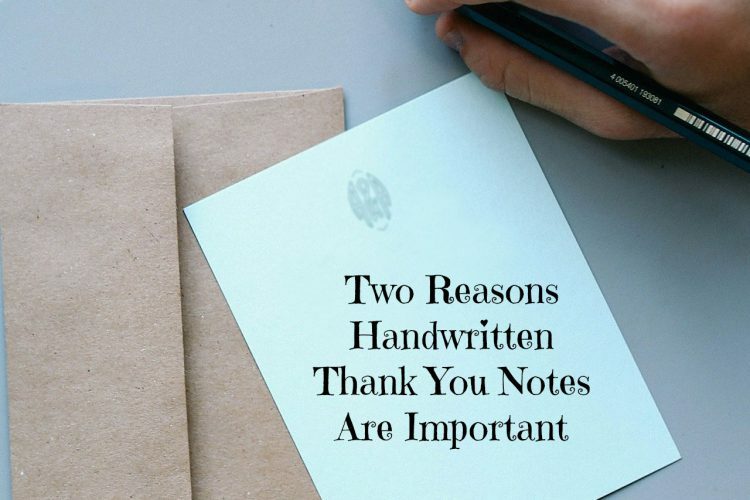 For your older children, have them write their own story. Have this story include pictures as well. I love seeing the imagination of kids, and this is a great opportunity to let them be creative. No Replies to "I Know an Old Lady Who Swallowed a Pie"